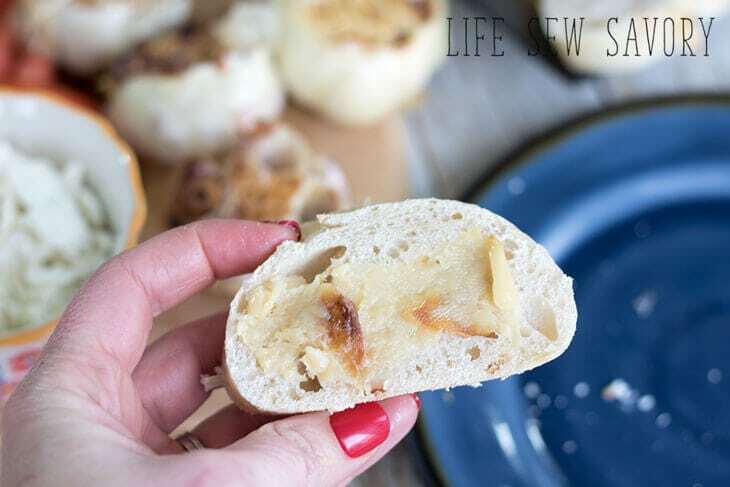 This roasted garlic appetizer is one my husband and I have been making for years… I had something similar in a restaurant once and had to go home and make it myself right away. 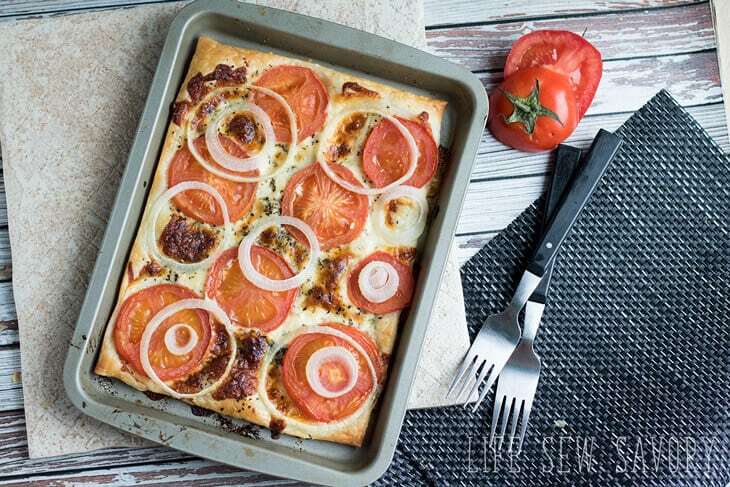 If you don’t already love garlic, this probably isn’t isn’t the appetizer for you… BUT, if you are a garlic lover like I am, this will be your new favorite. Look at that golden garlic! 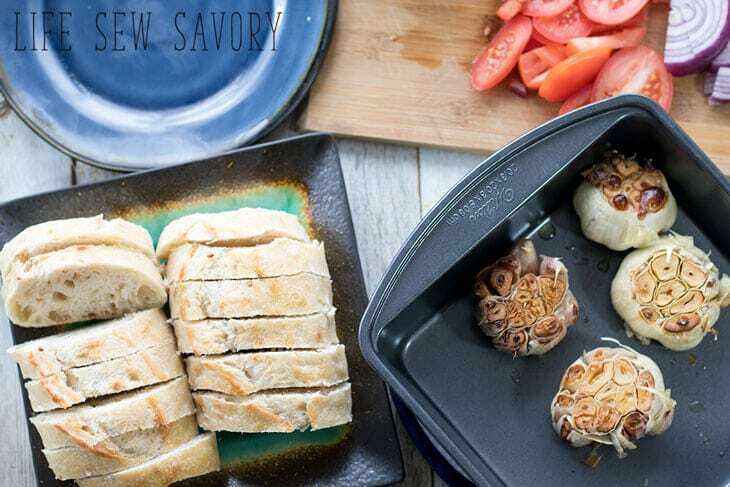 MMMmm… it roasts up so lovely! Crunchy top and soft middle, each clove is full of flavor. 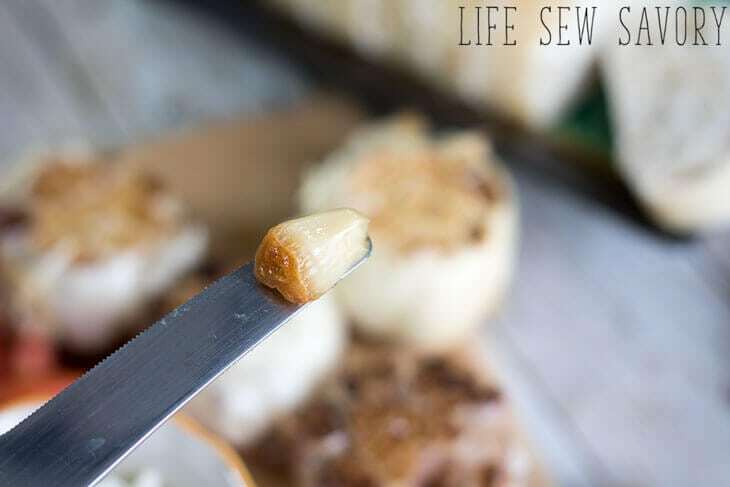 Golden garlic cloves… yumm!! How would you eat this? 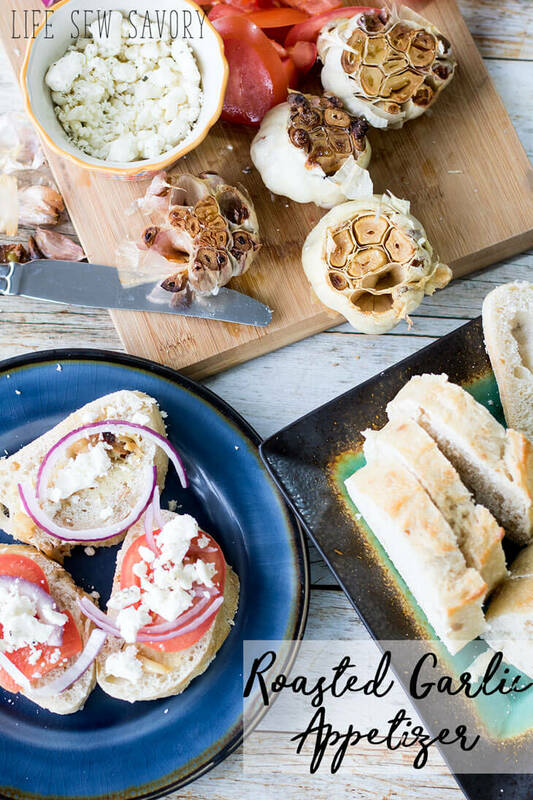 We love it on bread with toppings, but there are so many ways you could use this roasted garlic. The recipe is simple… cut off the tops, sprinkle with olive oil, cover and bake for 1/1.25 hours at 390. 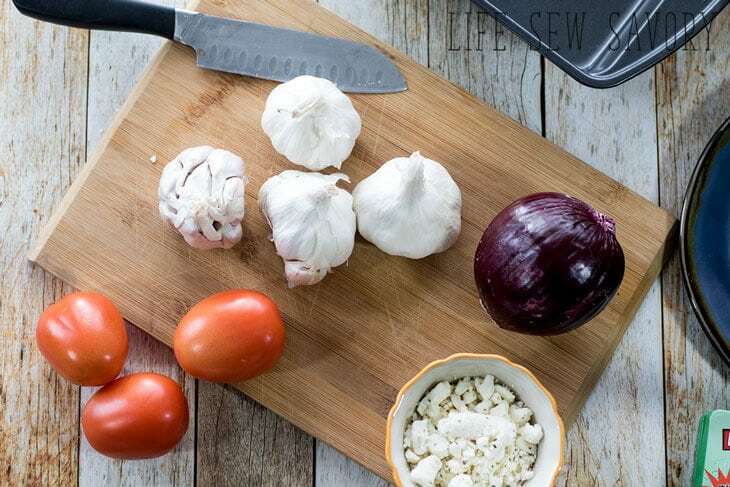 When the individual cloves are soft, the garlic is done. That’s it!! 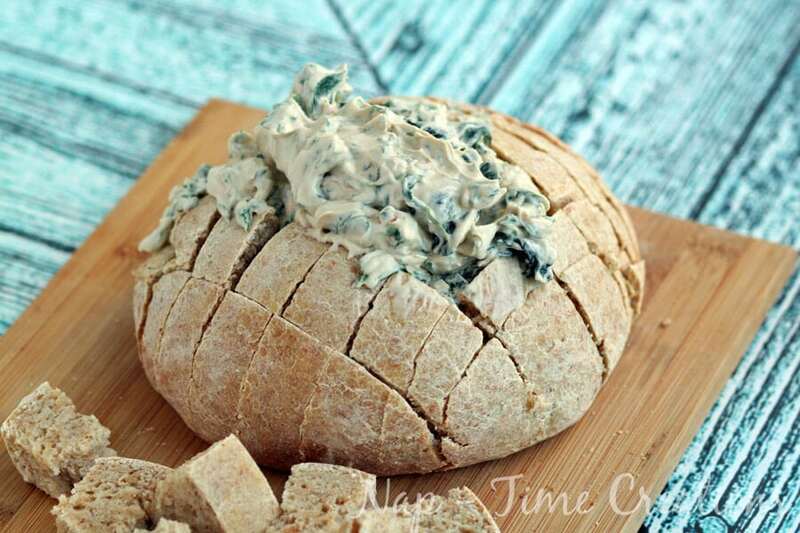 Spread a couple of cloves on a slice of bread and then add your favorite toppings…. 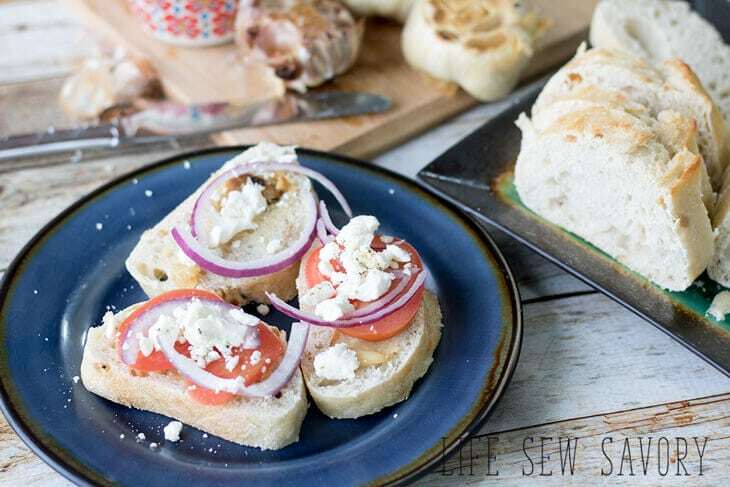 we love feta, red onion and tomato. 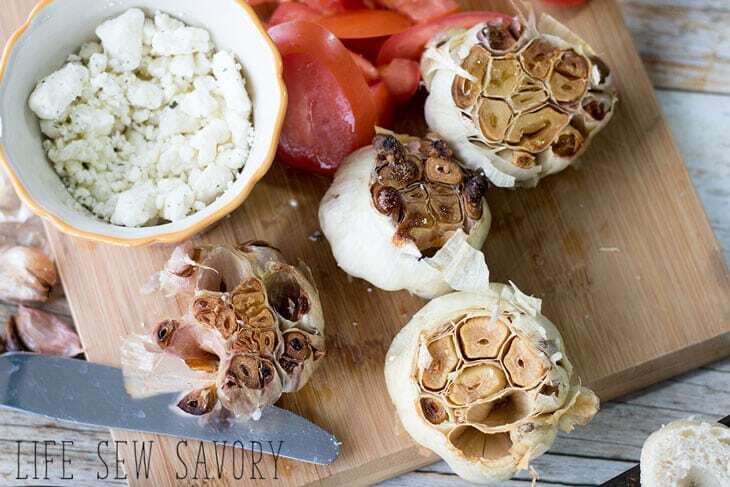 Your Roasted Garlic Appetizer looks awesome! 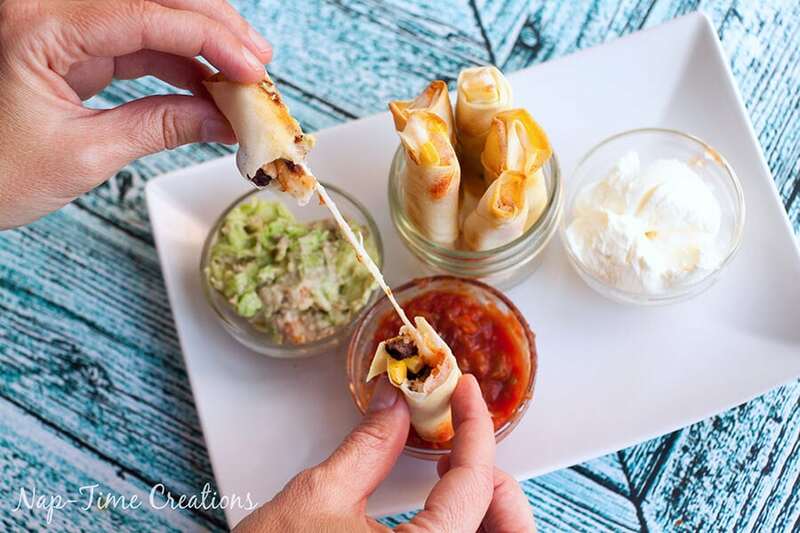 Hope you are having a great day and thanks so much for sharing your awesome post with us at Full Plate Thursday.